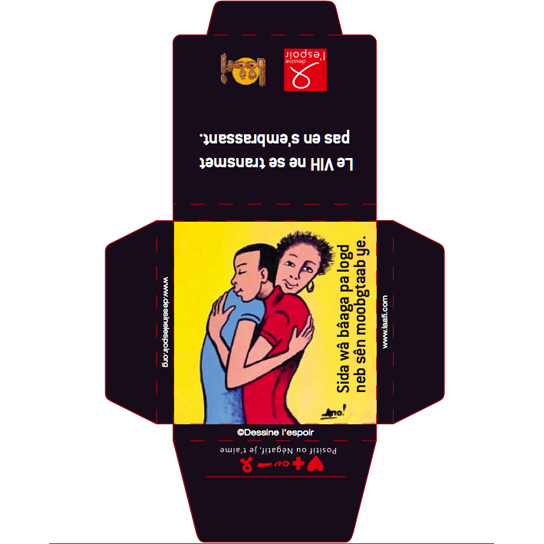 In partnership with Burkinabe NGO Laafi, Designing Hope has launched an HIV prevention for youth in Koudougou. (Burkina Faso). 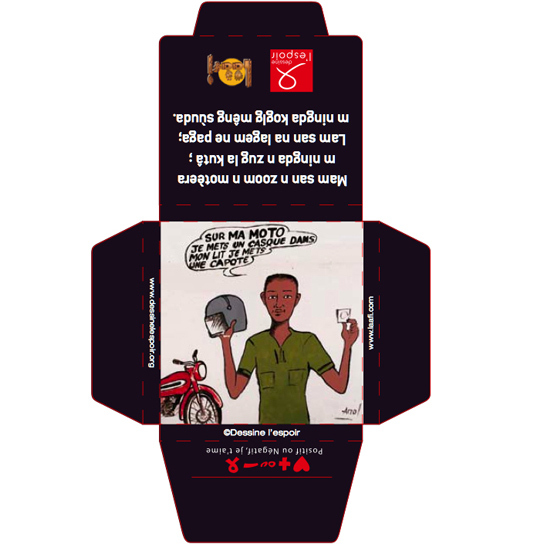 With the contribution of artists, young people are invited to participate actively in the development of prevention campaigns on attractive media. 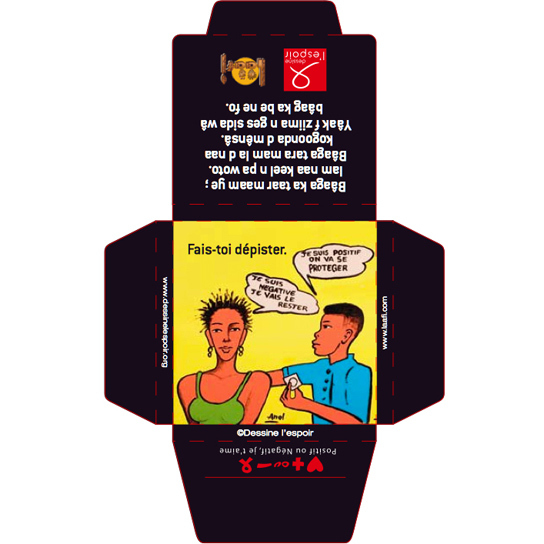 Designing Hope has launched a HIV prevention project for the youth of Koudougou. 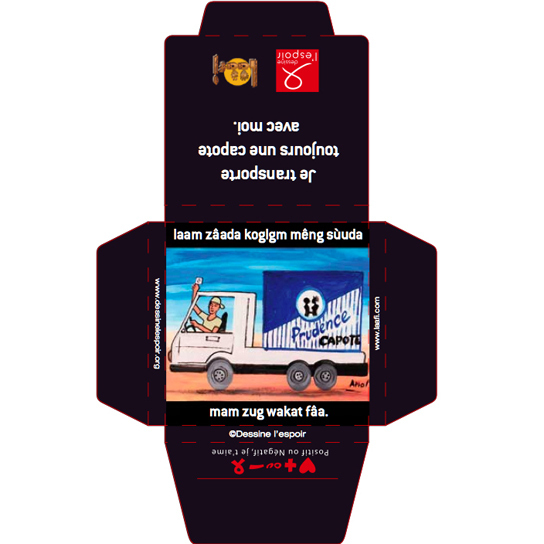 Young people have been invited to participate actively in the development of this campaign, to speak on the topics, and create messages using Painting, Theater, Photo and Video. Messages have been translated into Moore and French. 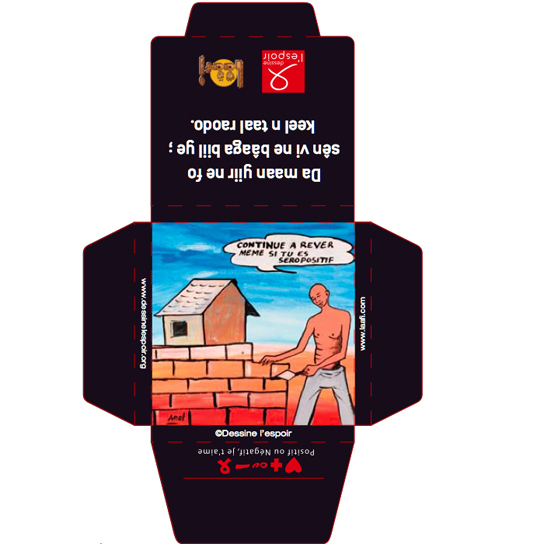 With the collaboration of the artist “Anol”, messages have been interpreted and painted on metal panels. 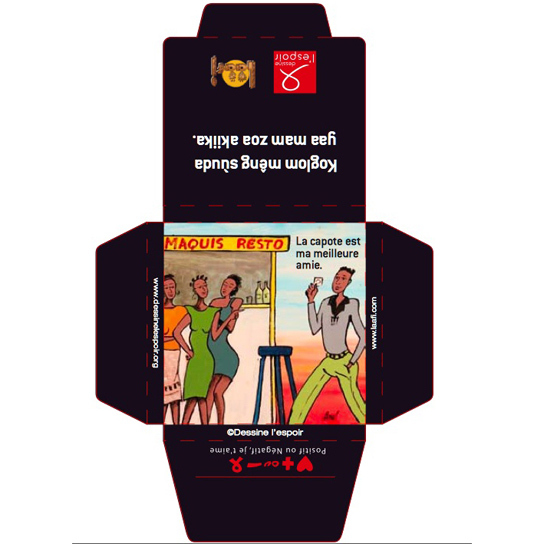 These images were also reproduced on the packaging of condoms that are distributed at cultural events of the city of Koudougou: Comedy Festival, “Atypical Nights”, National festivities …. Condoms are packaged in “Village Laafi” by groups of women in vulnerable situations. 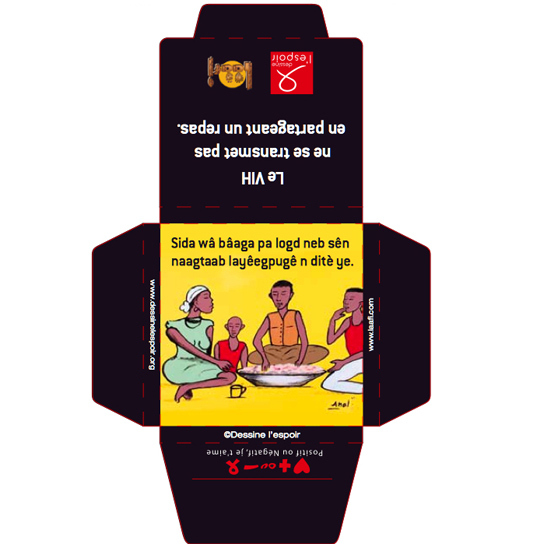 This activity gives them a small income and also encourages them to educate their communities.